I made a lot of modifications to this design, but it’s nothing complicated. In fact, it’s a lot more simple than the original. The chin block allows you to make up a typical wire landing gear and attach it with nylon straps. Or if you prefer a sheet metal landing gear, that’s even easier. The hatch shown on the plan is not needed, as the hole in the bulkhead is big enough to allow easy access for battery and tank installation. And you can leave the big chunk of wood off the bottom of the lower wing, which saves a fair amount of weight. Laminate all of your plywood parts. 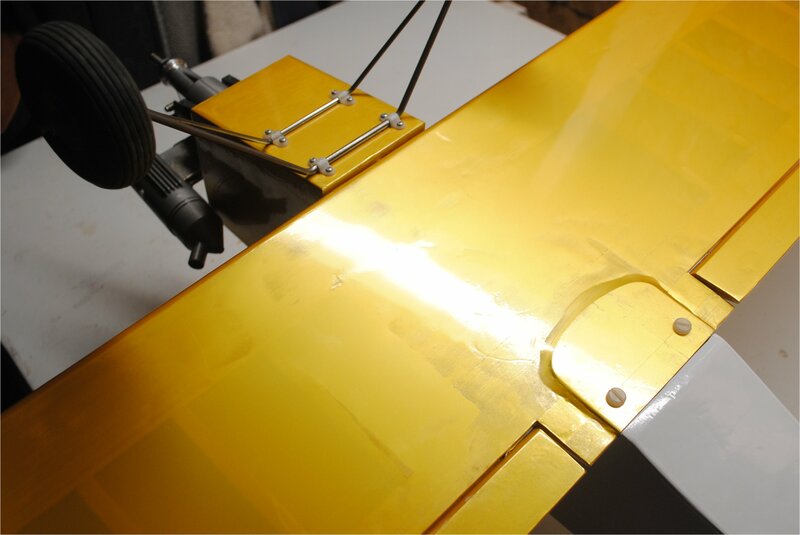 The wing bolt plate, the firewall, the pylon, and the two 1/8″ plywood wing ribs should be laminated with epoxy or some kind of wood glue. If using Titebond, Elmers, or other water based glues, weigh the parts down with heavy objects and leave them there until they are totally dry, to prevent warping. On critical parts such as these I prefer epoxy for this reason. Make a right and a left fuselage side by adding the lite ply nose compartment doubler and the wing saddle doubler to each fuselage side. Assemble the fuselage and make sure it’s square, but don’t add the plywood chin block until after you drill for the wing mounting dowel. Build the wings according to the plan, with three exceptions. The first difference is that the ribs are cut for 3/16″ square spruce or basswood spars, because I think they are superior to balsa spars. 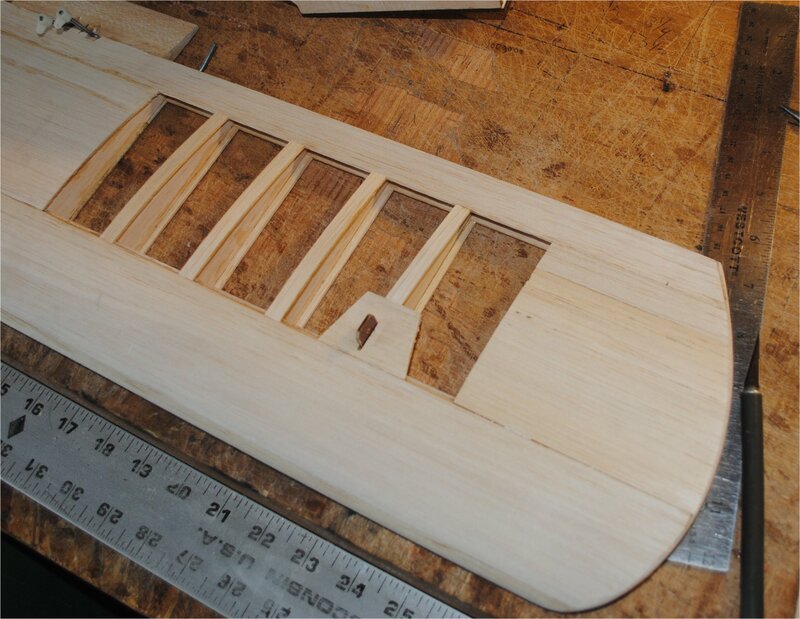 Another difference is the 1/4″ plywood rib in the center of the top wing. Make sure that it is absolutely straight. If it’s crooked, your wing will be crooked. 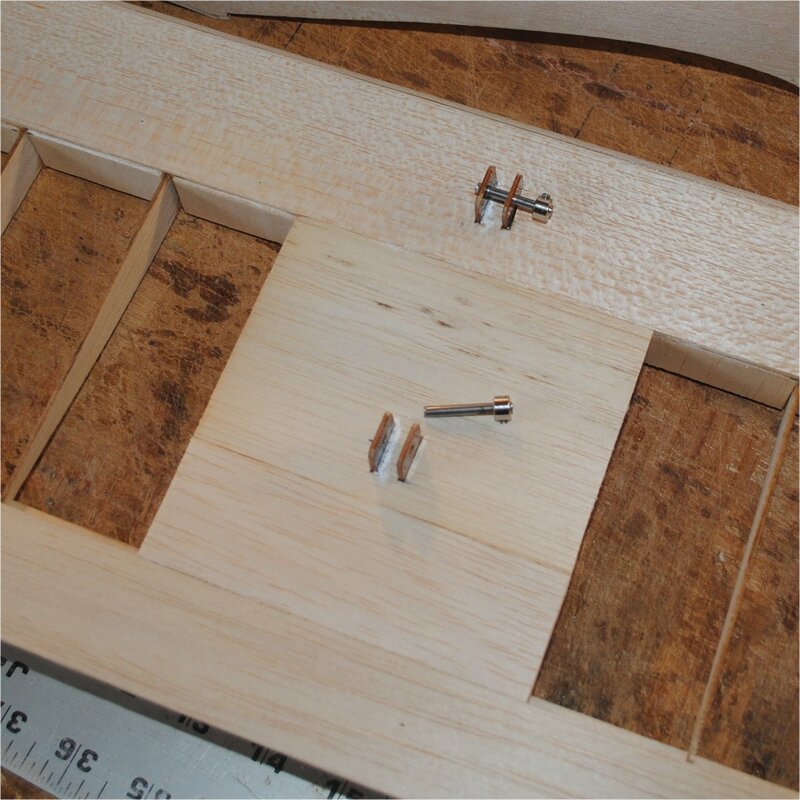 The other difference is that the outboard wing strut locations will have 1/32″ ply doublers on the ribs. Note that the wing ribs in the top wing do not line up with the ones in the bottom wing, so your outboard strut will have bends in it to line up with the tabs. Figure out where you want your struts to be, based on aesthetics. Place your reinforced ribs in these locations. Scuff the indicated area of each tab with sand paper to assure a good bond. The four tabs with the small holes go in the outboard wing panels. One of them should stick up from the bottom wing on each side, and one should stick down from the top wing on each side. You can mount these now or later. The four tabs with large holes go in the center of the wing to hold it to the pylon. Don’t glue these tabs into your top wing yet. The pylon is a really easy thing to build. Make sure that your fuselage sides and bulkheads are all square to each other. The pylon keys into the top of the fuselage very easily. Install a cockpit floor made of firm sheet balsa and mark a center line on it to help you align the pylon. 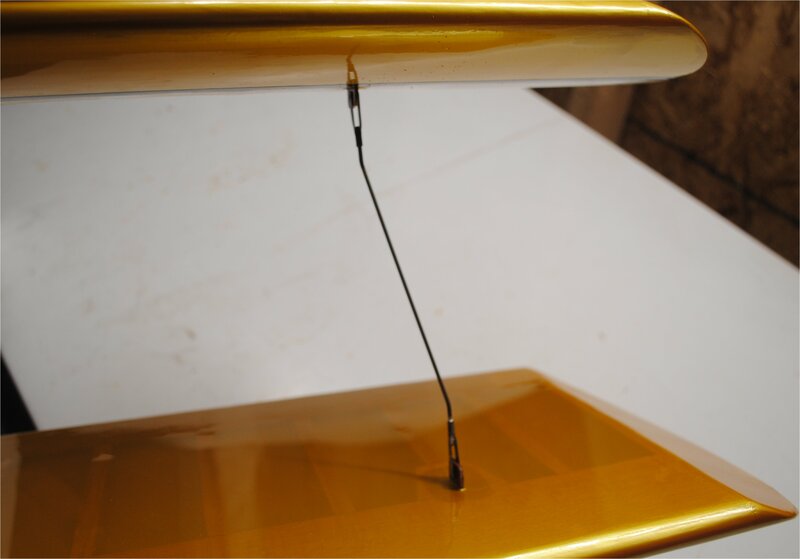 When you are ready to mount the top wing to the pylon, make a temporary spacer from 1/8″ balsa and tack it into place on top of the pylon with a couple of dots of medium CA glue. (After you remove your spacer the top wing will float above the pylon a bit.) Sand each side of the pylon to eliminate any overhang of the balsa spacer. To give you an idea of what you’re aiming for, when you assemble the wing it will look kind of like this. Measure your tabs and holes, and determine where to drill the holes in the pylon. The holes should be about 1/8 to 1/4 inch below the top edge of the pylon. After you figure it out, drill 1/8″ holes for the front and rear attachment points. Now assemble the tabs onto the top of the pylon with pins and wheel collars. Lower the top wing onto the top of the pylon and check the fit of the tabs on the plywood center rib. When you are satisfied that everything lines up in the right place, glue the tabs to the plywood center rib with medium CA glue, epoxy, or your favorite adhesive. Note that the scuffed area on these tabs is intended to make the glue stick better. Once your glue has cured, remove the pins and set the top wing aside. Remove the temporary balsa spacer from the top of the pylon and sand the glue off. Now mount the bottom wing. 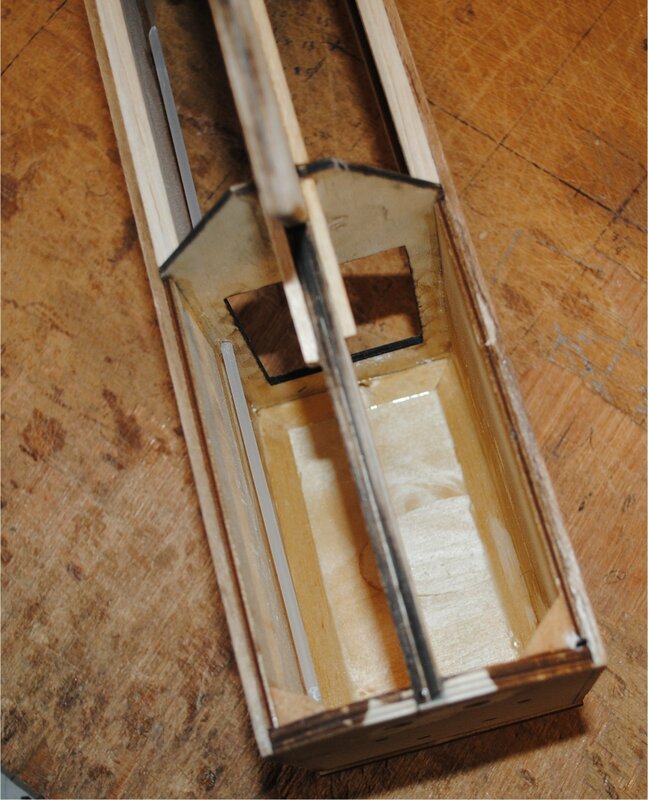 Drill the hole for the front wing mounting dowel through Bulkhead #2, and then mount the 1/8″ plywood chin block. I like to put some triangle stock around the inside edges along the two fuselage sides and the firewall, sand it flush, then mount the chin. 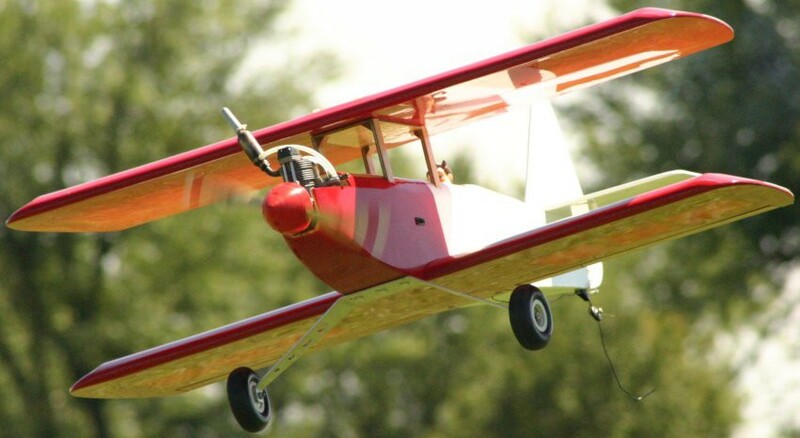 If your plane is to be electric powered, and you want a battery hatch, cut the chin plate so the rear portion has landing gear attached, and the front portion is a removable hatch. Come to think of it, it would probably be better to cut a segment for the landing gear, another segment about a 1/2 to 3/4 inch wide to for the front of the chin section (attached to the bottom of the firewall), and the remainder for the hatch. If you haven’t already glued the strut tabs to the ribs, go ahead and do it now. Add some balsa sheeting around the tabs for the covering film to have something to attach to. Mount the bottom and top wings in place. 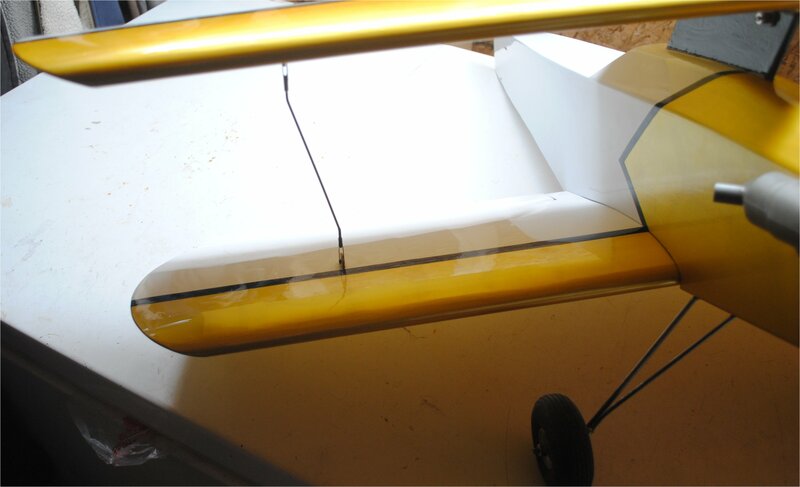 Adjust the top wing until it’s square to the rest of the plane, and figure out how long your struts need to be. I used a 2-56 threaded rod with a solder clevis on one end and a screw clevis on the other. Once you get it mounted, it’s surprisingly sturdy. That’s pretty much all there is to it. The rest of this project is just like any other airplane building project. If you have any questions, just ask.